Surgut is the city of Khanty-Mansiysk Autonomous Okrug. The level of welfare of the city located in Russia on the leading positions. 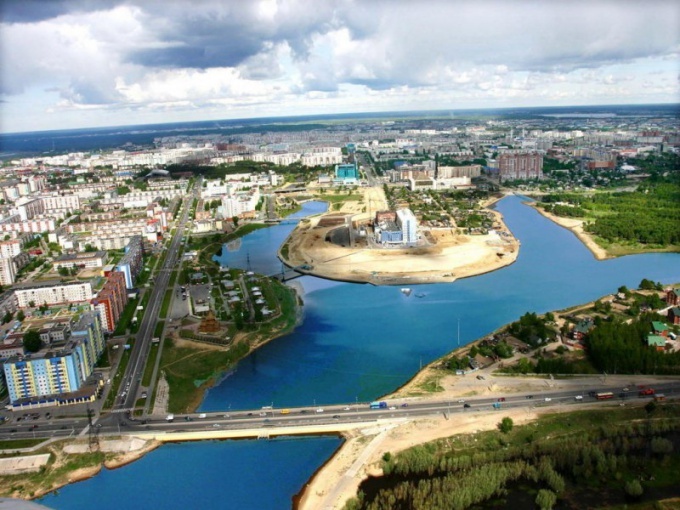 Surgut is informally referred to as the oil capital. At the train station can be reached by train with Eastern and South-Western direction. From the East and North-East you can arrive in the oil-producing capital of the other oil-producing regions – Noyabrsk, Tarko-sale, Nizhnevartovsk. From the South-West direction in Surgut trains from Tobolsk and Tyumen. The city is situated on the TRANS-Siberian railway, so with one change you can reach it from almost any region of the country. The city has its own bus, so it can be reached not only by rail. Surgut has both commuter and intercity bus service to many villages. In the city you can come direct from Khanty-Mansiysk, Nizhnevartovsk, Kurgan, Ufa, Chelyabinsk, Ekaterinburg, Kogalym and many other settlements. In Surgut there is the largest airport in Khanty-Mansi Autonomous district. Its airport has an international status. The annual turnover is 1.15 million for the city, which is not the centre of the region is undoubtedly high. In Surgut can be reached by plane from Bishkek, Chisinau, Dushanbe, Moscow, Irkutsk, Volgograd, Baku, Tyumen and other cities. There are also seasonal Charter flights from Anapa, Saratov, Antalya, Barcelona, Larnaca, Heraklion, Sharjah, Hurghada. Through the city passes the Federal highway P404, which connects Tyumen oblast to the North. To reach Surgut in this way from Tyumen, Tobolsk, Nizhnevartovsk and Nefteyugansk. On the North route into the city can be reached from Perm, Serov, Ivdel, Khanty-Mansiysk and Tomsk. "Siberian corridor" connects Surgut-New Urengoy, Nadym, Salehard.